Softcover, 5 1/2 in. x 8 3/8 in. A highly-detailed account of the development and subsequent success of the Beetle, including much behind-the-scenes information. 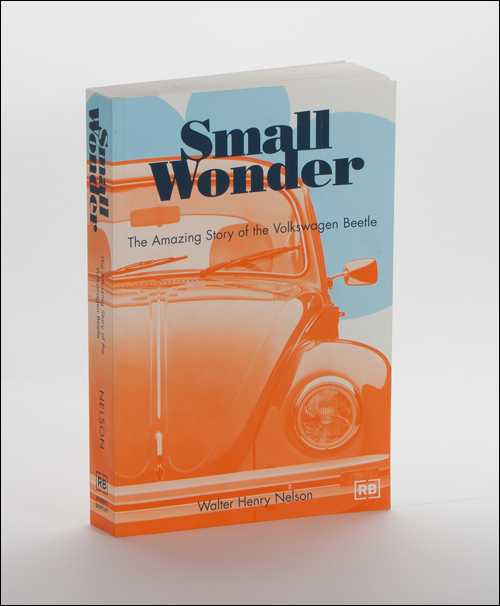 Originally published in 1965 and updated by the author in 1970, Small Wonder focuses on the history of Volkswagen from its inception to 1970. With this edition, Walter Henry Nelson wrote a new introduction which helps the reader to understand the relevance of the book to our times, in light of the release of the New Beetle. Also new to this edition are expanded appendices including retail information for all Volkswagen models through 1997 and an updated how-to-tell-the age of your Beetle chart. Over 1.2 million paperback copies were sold when originally released, making Small Wonder the most successful Beetle book of all time. 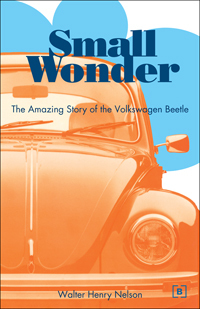 Often quoted as a reference source by subsequent histories, Small Wonder provided valuable insights and inside information gleaned from years of research within Volkswagen. Not only is the history of Volkswagen portrayed, but also that of the personalities that helped shape the direction of the company and of the Beetle itself. At the time of writing, the author had full access to Volkswagen archives in Germany and the U.S.